Establishing support systems is essential for promoting research culture. The culture in UK research establishments is one of the reasons the country is an attractive and productive place to undertake research. If you want excellent research, you need a positive research culture that supports all individuals involved. Alongside national policies and programmes, local policies and the attitudes and behaviour of staff at all levels influences this. An important aspect of research culture is an organization’s approach to research integrity – the formal and informal ethics, standards, protocols and policies researchers follow in their environment. Organizations are increasingly recognizing the importance of the role of research integrity. Enhancing research culture doesn’t require major effort and resources. Organizations across the UK and globally have made changes linked to integrity that have improved their research culture. These range from simple approaches such as using informal communication channels to nurture a supportive environment, discussing successes and “failures”, to embedding research integrity into the heart of institutional culture, requiring research leaders and senior administrators to lead by example. Facilitating open discussions can help foster a more collaborative environment, by giving researchers the chance to share their experiences of not only their successes, but also their “failures”. This helps to build respect and trust within the research team, by talking openly and giving support when things don’t always go right. The Tobacco and Alcohol Research Group, based at the University of Bristol, have a range of different communication channels to support their work, with one focused specifically on “triumph and disaster”, which dispels the assumption that senior academics have had continuous successes to get to their esteemed positions. Providing and promoting career counselling, coaching and support services available to staff may help to reduce pressures within a research environment, which is imperative to staff well-being. This can help in limiting stress and time pressures, and connect researchers to other resources available at their institution, such as forms for deadline extensions, assistance programmes, career services and mental health and well-being services. The Fred Hutchinson Cancer Research Center provides a career-counselling service solely to their scientists, providing the opportunity to discuss their career paths and the steps they need to take to progress. Research teams could openly discuss, amend and build on existing guidelines, to develop a consensus on their collective and individual behaviours and attitudes. This could be used to develop a group standard or pledge, ensuring all team members are aware of what is expected in the research environment. This helps to enhance a positive culture by refining standards and “norms”. The Barcelona Biomedical Research Park developed a code of good scientific practice, which sets out the expectations of individuals and the collective research team. Encourage researchers and support staff to find time and space to meet to share ideas and experiences. By involving other departments, institutions and sectors, discussions can focus on improving research integrity and culture, to share best practice on what has worked, what hasn’t and its impact. The Barcelona Biomedical Research Park is one example of where this has been put into practice. Often seen as “role models” to their early-career peers, organization, department and team leaders who are at the forefront of promoting a positive research culture – such as by taking part in training, encouraging discussions to address difficult questions in an open and honest way and by having an open door policy – set a “norm” and redefine standards. Participants at the Royal Society’s research culture workshops gave examples of leaders initiating small but impactful ways to set culture and improve morale in the workplace. An example of this is setting regular hours, to tackle the perception that only academics working extensive hours are successful. Career progression is a key factor in retention and enhances not only the quality of research for the institution, but for the research community as a whole. Researchers can feel more valued if skills needs are reviewed individually and as a group, ensuring they all possess the necessary skills for their role, such as statistics, data-handling, proposal-writing and resource management. And following on from this, identifying gaps and offering courses for development. Software Carpentry developed such an initiative, by running training workshops at the University of Florida, to increase the data literacy of university staff. Highlight the importance of research culture and engage all staff across the organization by hosting a research culture and integrity day. Presentations, workshops and panel discussions could be given from across the organization. Different departments could showcase the ways they have improved research culture and integrity, as well as addressing areas where there is still room for improvement. The University of Nevada organised an “Ignite Integrity week” where all staff were encourage to participate in activities to discuss good practice. Research culture is pivotal to research excellence; we are at the beginning of a conversation round promoting this idea. 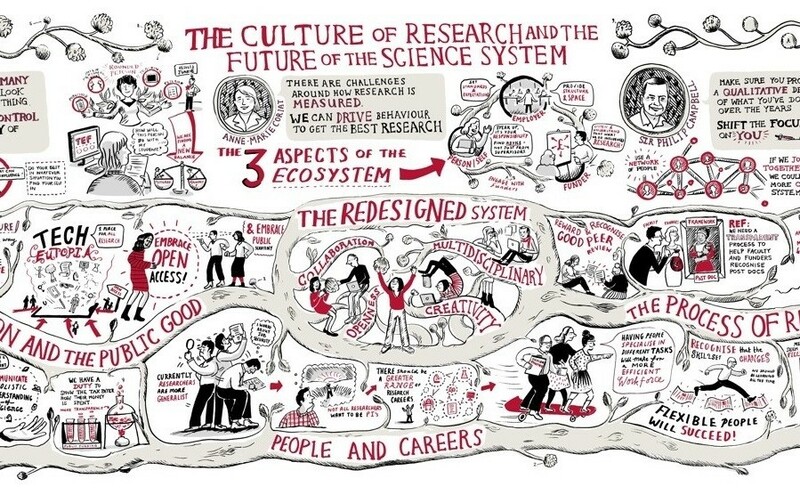 In Integrity in Practice, the Royal Society and the UK Research Integrity Office showcase examples of initiatives led by organizations from across the world to inspire and encourage innovation in research culture. The more research culture is talked about, the more progressive these discussions will become. So why not think about research culture within your institution and start the conversation on what positive improvements you can make, both collectively and as an individual. • The Royal Society’s Integrity in Practice toolkit launched at the World Economic Forum’s Annual Meeting of the New Champions 2018. The Code of Ethics, produced by the World Economic Forum Young Scientists Community, is profiled in Integrity in Practice.